“The 6.5 Grendel is a great round. It has very minimal recoil. It is also flat shooting out to 500 yards and beyond. It’s great for hunting medium-sized game such as deer and pigs, and best of all, you can find ammo for it that is relatively inexpensive. In building the ANVIL XLR2 with a 22-inch barrel, along with some of our other finest components, we designed this rifle to help shooters achieve the best possible results with this caliber,” said Chris Reinkemeyer, CEO of CMMG. CMMG’s MkW ANVIL is a mid-sized AR rifle platform that is uniquely engineered to easily handle calibers with large casing diameters and significantly high bolt thrust. 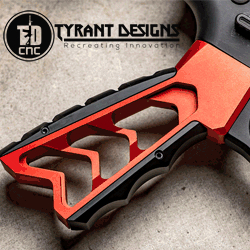 The most defining feature of the ANVIL is CMMG’s unique POWERBOLT design, which allows the rifle to utilize a modified AR10-sized bolt for increased durability. This is important because large-diameter cartridges such as 6.5 Grendel would require material to be milled out of a standard AR15-sized bolt in order to function – resulting in a thin, fragile bolt face. 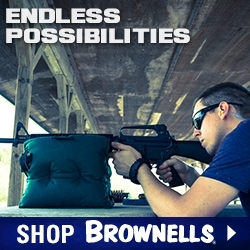 The POWERBOLT design allows the ANVIL to take 6.5 Grendel, and many others, to their full potential. The MkW ANVIL is built on an AR10-sized frame with the upper receiver shortened by three quarters of an inch to minimize weight and increase ergonomics. Although the frame is based on the AR10 platform, the magwell on the lower receiver has been uniquely designed to accept standard AR15 magazines. 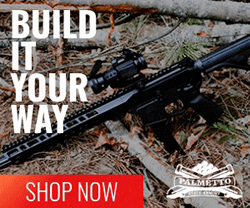 This allows the rifle to utilize the durable AR10-sized bolt with calibers such as 6.5 Grendel, which have a case diameter that is larger than a 5.56 NATO. 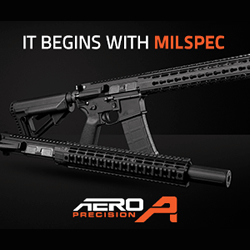 The result is a mid-sized AR that delivers superior durability while minimizing weight. Each MkW ANVIL in 6.5 Grendel ships with one 10-round magazine and is backed by CMMG’s Lifetime Quality Guarantee. For those who already own a CMMG MkW ANVIL in .458 SOCOM, CMMG will also offer 6.5 Grendel upper receiver groups that will be compatible with any MkW ANVIL lower. The 6.5 Grendel caliber was developed by Arne Brennan, Bill Alexander, and Janne Pohjoispää and introduced in 2004 by Alexander Arms. The design of the 6.5 Grendel intended to create a cartridge capable of functioning in an AR15 platform while simultaneously providing superior long-range accuracy and energy upon impact. Since its introduction, the 6.5 Grendel has proven to be an effective round for long-range shooting in both hunting and tactical situations. Bullet weights range from 90 grains all the way up to 130 grains, making it a diverse cartridge for a variety of applications.